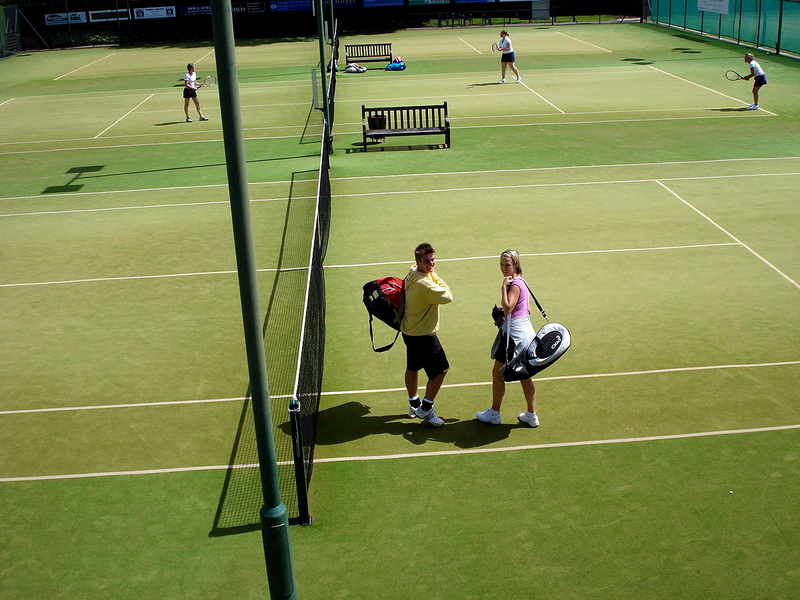 With 18 courts, the Club is one of the largest in the Country. 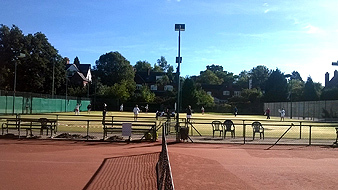 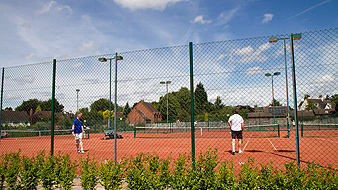 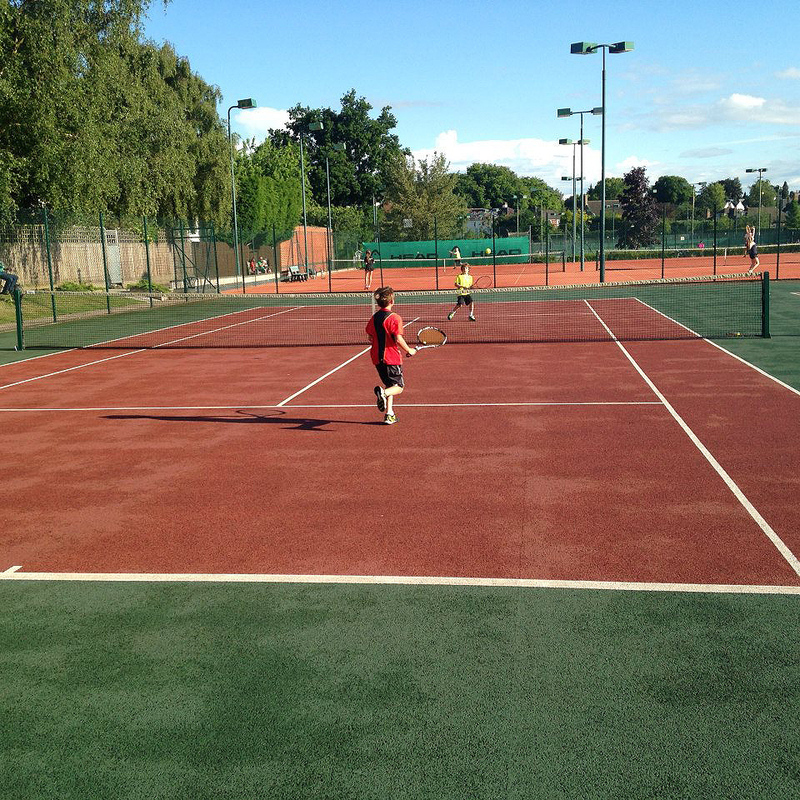 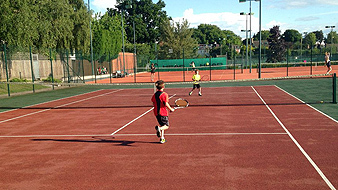 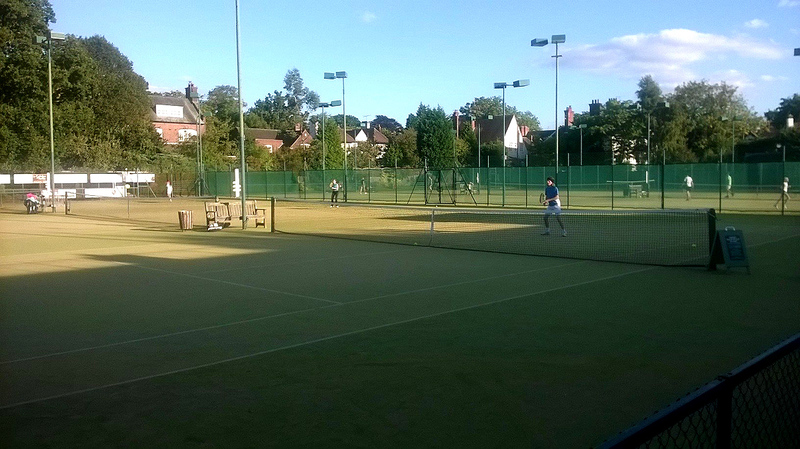 Artificial clay courts have always been very popular and always the first to be booked out for floodlit play. 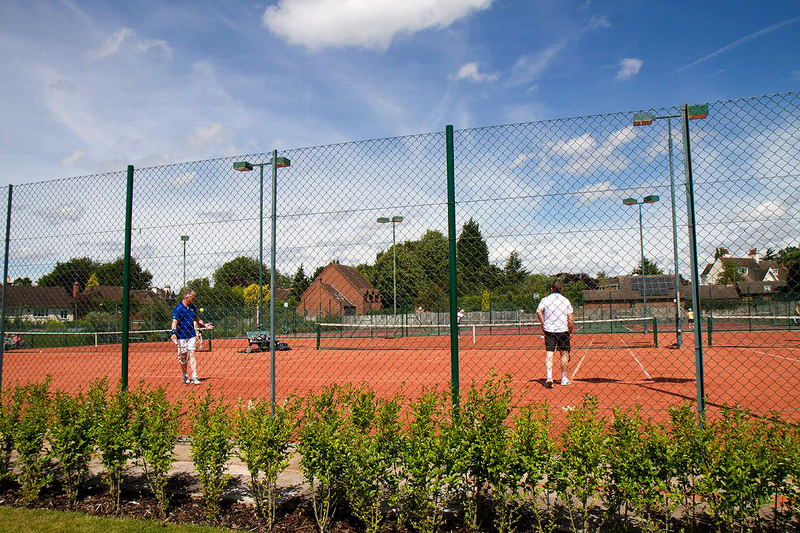 In addition to being recognized by the LTA as an official tournament surface, Artificial clay plays slightly slower, is easier on the joints and the additional sand allows for sliding. 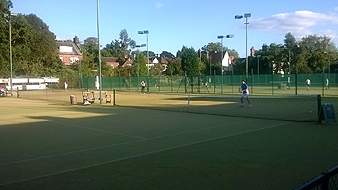 With these facts in mind, Club members voted overwhelmingly in favour of converting to clay and our 6 front showcourts were resurfaced from artificial grass to Artificial clay in early 2017 giving us a total of 11 Clay, 3 Savanna (a type of artificial grass) and 4 Macadam. 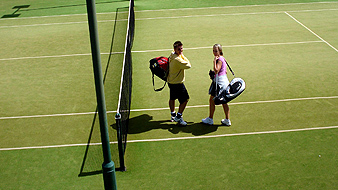 All surfaces are regularly measured and renewed when needed. 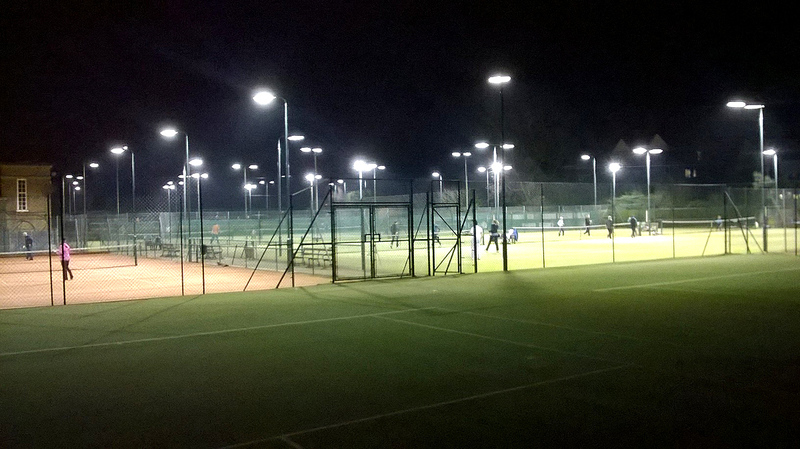 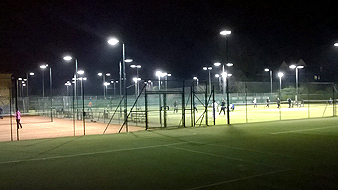 and 10 courts are fully floodlit for popular bookable night-time play.